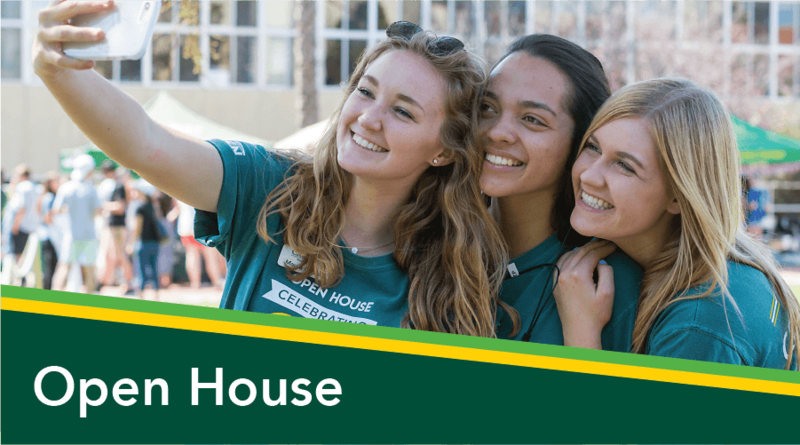 Get excited for Cal Poly's 27th Annual Open House, April 16-18, 2020. Engage with current students, faculty, and the San Luis Obispo community! Continue reading for more information. 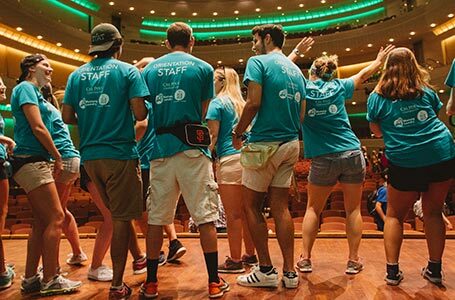 Get excited for Student Life Orientation Days 2019! 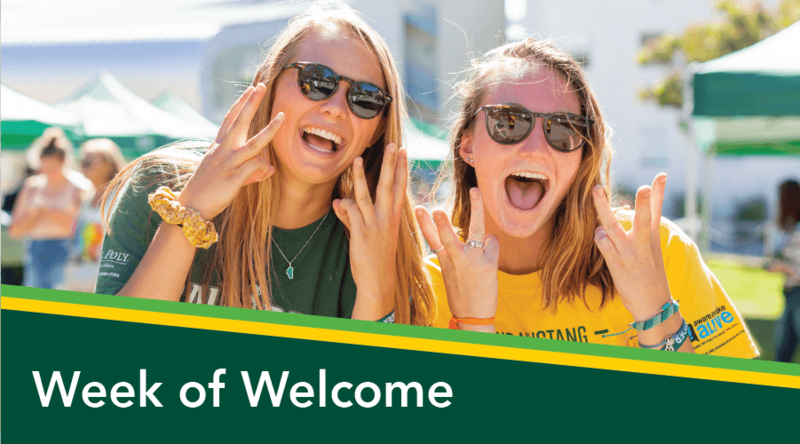 Meet other new students and their supporters, make connections, and explore all Cal Poly has to offer! Continue reading for more information. Get excited for Week of Welcome 2019! Explore Cal Poly and the community, learn what it means to be a Mustang, and meet hundreds of new students! Continue reading for more information. 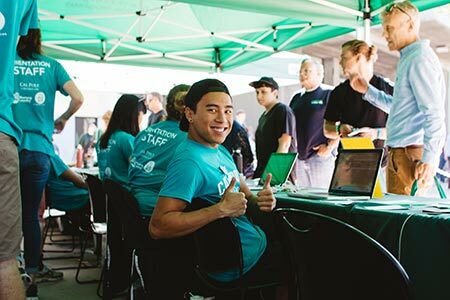 Want to get involved with Orientation at Cal Poly? Learn more about the opportunities available as a part of New Student & Transition Programs! Continue reading for more information. Sign up now for SLO Days & WOW 2019! Must complete by May 7. To sign up, visit your my.calpoly.edu portal and click on the "orientation events" tab. Your orientation schedule, arrival information, to-do lists - and more - all at your finger tips in the brand new "Cal Poly Now" mobile app, the official app of Cal Poly Student Affairs. Download it now and search for the "Open House 2019" guide and start planning ahead for your upcoming session. 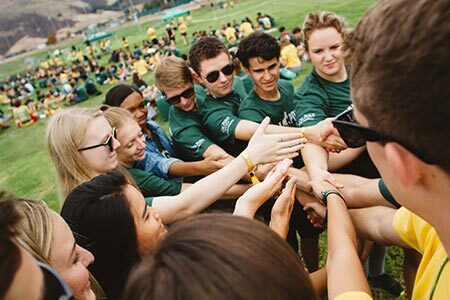 New Student & Transition Programs serves as a home and resource to all new students and their supporters and to ensure their successful transition to Cal Poly. Open House. Open to all admitted students and their supporters as well as the San Luis Obispo and Cal Poly communities. Join us for our 27th Annual Open House, April 16th-18th, 2020 Admitted students, look for a link in your email in the spring and follow to RSVP! SLO Days. 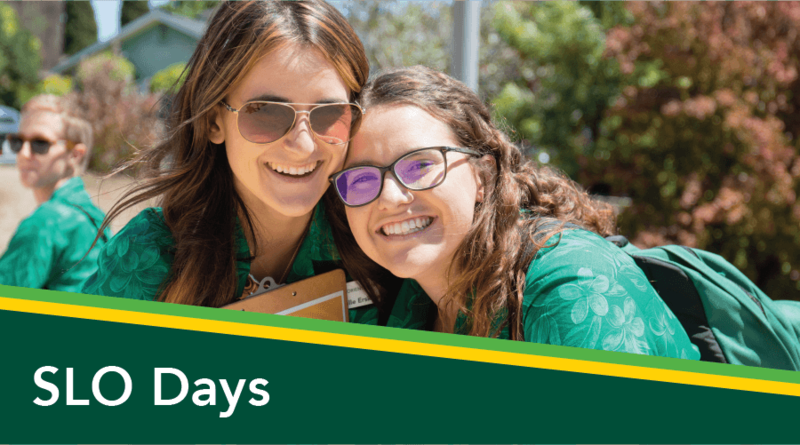 SLO Days is our summer orientation program and is mandatory for all new students. New students will get their first on campus experience as new Mustangs. 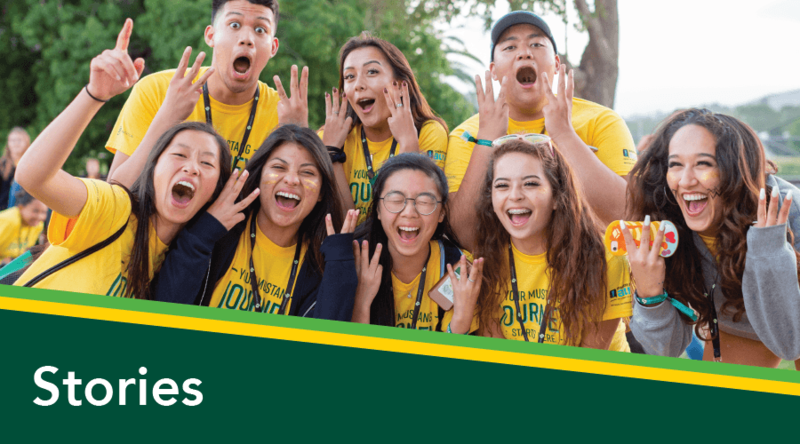 You will make connections with new students, leaders, and your college and explore campus and the San Luis Obispo community in this two-day, overnight event. Dates between July and mid-August. Space in each session is limited and not guaranteed until reception of payment upon registration. Week of Welcome. Known simply as “WOW”, Week of Welcome is a 60 year-old tradition at Cal Poly taking place in September leading up to and around your first days of class. Start off your career as a Mustang as you and your new classmates move-in, kick off the year with the Big Fall Welcome, explore the central coast, learn about your role as part of the Mustang Nation, start on your Journey to Academic Success, and make life-long connections. Mandatory for all new students, starting September 16th through September 23rd.